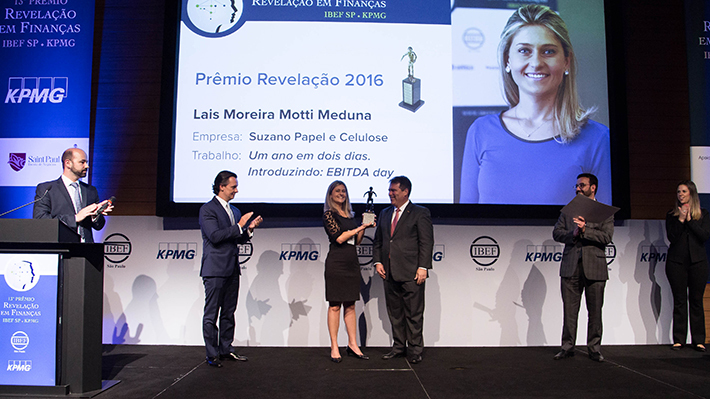 Drexel LeBow MBA alumnus Lais Meduna was recently honored with 2016 IBEF REVELAÇÃO award. IBEF is a highly regarded institute of finance professionals in Latin America and awards this prize every year to one young talented professional who works in finance and shows great potential. Lais leads the global budget effort for Suzano, one of the world´s largest pulp and paper producers, where she is responsible for monitoring the company´s most important key performance indicators on a monthly basis.